ISLAMABAD: Pakistan Tehreek-e-Insaf Chairman Imran Khan said Friday that the godfather had managed ‘control’ of all the state institutions, barring the Supreme Court and the army. 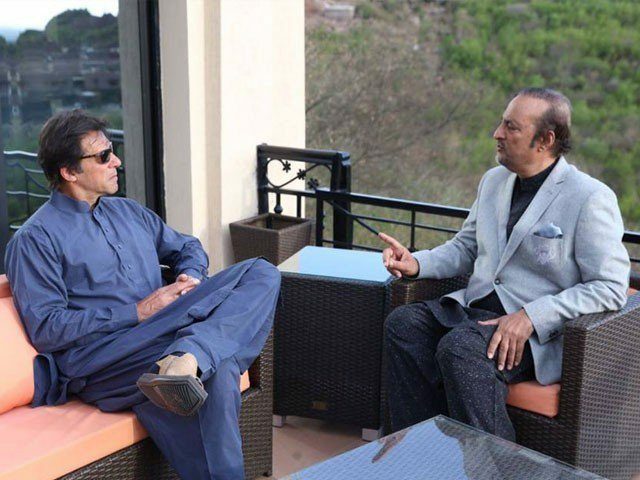 “Our institutions have been destroyed by the godfather and people believe that only the credibility of the Supreme Court and the army is intact,” charged Imran while speaking at an Iftar-dinner, hosted in his honour by PPP Senator Zaheer ud Din Babar Awan, who announced to formally join PTI. join the real opposition party,” he said as he announced resigning from Senate. Imran said on one side, there was the shrinking status quo, benefiting from the corrupt system while on the other, there were masses, yearning for a change while there was an institutional collapse in Pakistan. He added this became evident before the Supreme Court and then at the Joint Investigation Team that the institutions had been destroyed. He explained that the change would occur when the state institutions would be strengthened and the appointments would be on merit and in this context referred to the advancements made by Malaysia and Singapore, where prime ministers focused on delivery. These countries, he noted, had left Pakistan behind today. Imran complained about seeking replies regarding Panama Leaks, threats were hurled and four-five cases were filed against him in the Supreme Court and the Election Commission of Pakistan. He added Ijaz Chaudhry on joining PTI was jailed and was later freed on bail and this was a message for all those, who would join PTI. He welcomed Senator Babar on joining PTI and smilingly said that his two sons had already become part of the party during sit-in days. Imran also again praised Awami Muslim League chief Sh Rashid Ahmad or bravely siding with his party in the war against corruption. On this occasion, Imran clarified neither Babar nor any others, who had joined PTI had put forward any demand. Earlier, Babar announced to resign from PPP’s basic membership after remaining part of the party for 21 years and also as a senator. “I announce to join PTI family,” he remarked. He predicted Imran would be the next prime minister and urged people to give PTI a two-thirds majority for stability. He insisted the change would come only with the strengthening of the institutions and for the change people would have to come out of their homes.